Nominations for the Newsline Young Ham of the Year award - which CQ co-sponsors - are due by May 31. Now in its 28th year, the YHOTY program recognizes the achievements of radio amateurs age 18 or younger living in the US, its possessions or Canada. Qualifying candidates must have made a significant contribution to amateur radio or - through the use of amateur radio - to their communities or to the nation. Official nominating forms may be downloaded from <www.arnewsline.org/yhoty> or requested by mail (with a self-addressed stamped envelope) from Amateur Radio Newsline, Inc., Young Ham of the Year Award, 28197 Robin Ave., Santa Clarita, CA 91350. Don Miller, W9NTP, is well-known in amateur radio as a pioneer in slow-scan TV techniques and a leader in promoting the use of the mode. Back in 1972, he was recognized for his efforts as Dayton's Radio Amateur of the Year. Don has also traveled extensively and in the course of his travels over the past eight decades, has amassed a huge collection of artifacts from all over the world. These artifacts, which had been stored at Don's home in Waldron, Indiana, are now in the hands of the FBI, which seized the entire collection in early April, trying to determine if any of the materials had been obtained or imported illegally. Several Indiana newspapers and TV stations showed photos of a massive FBI presence outside Miller's home, with tents set up around his property and a variety of vehicles. An FBI spokesman told CBS News.com that neither the total number of items in Miller's collection nor their monetary value had been determined, but said "the cultural value of these artifacts is immeasurable." The FBI is cataloging each item and trying to determine where and when each one was obtained, which is important because some may have been collected before various laws and treaties regarding cultural artifacts took effect. As of our deadline, Miller had not been charged with any offense, and he told CBS he was cooperating with the FBI but maintained that he "absolutely" had rightful ownership of everything in his collection. Responding to an FCC request for comments on improving how the Commission functions (GN Docket 14-25), the ARRL has called for more timely and visible enforcement of the FCC's rules, especially regarding the amateur service. According to the ARRL Letter, changes in FCC procedures over the past five years restricting the public release of information about enforcement actions has resulted in "a widespread, albeit inaccurate, public perception that there is no active enforcement in our service." That perception, said the League, has resulted in "unacceptable increases in rule violations" because people think they won't be held accountable. A few FCC enforcement actions have been announced recently, including a consent decree in which a Florida ham agreed to pay a $1,000 "voluntary donation" and gave up his license in return for terminating an enforcement action which could have cost him $25,000 in fines. 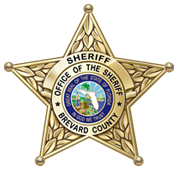 The ARRL Letter reports that Terry Van Volkenburg, KC5RF, had been charged by the FCC with making unlicensed transmissions on a public safety frequency that interfered with the jail radio system of the Brevard County, Florida, Sheriff's Office. In a separate action, Oklahoma ham Orloff Haines, KF5IXX, is facing a possible $12,000 fine for allegedly interfering with communications on CB channel 19. According to the ARRL Letter, Haines, an Extra Class licensee, admitted to transmitting a continuous carrier on channel 19, reportedly because area CBers were harassing his wife. Haines had the usual 30 days to pay the fine or make a written request to have it reduced or cancelled. AMSAT's Vice President of Engineering, Tony Monteiro, AA2TX, passed away on March 26 at age 55 after battling cancer. His many contributions to amateur satellite technology included designing the software for the Software-Defined Transponder (SDX) that was used on ARISSAT-1 in 2011. AMSAT announced the appointment of Jerry Buxton, NJ0Y, to succeed Monteiro as Vice President of Engineering; and Steve Coy, K8UD, a board alternate, has assumed Tony's seat on the AMSAT Board of Directors. The political dispute between Russia and Ukraine is impacting the HF amateur bands, according to Newsline. The International Amateur Radio Union's Monitoring System newsletter reported recently that Ukraine's foreign intelligence service has been transmitting numbers and encrypted messages every Wednesday at 1010 UTC on 14.280 MHz, using full-carrier AM. In addition, the newsletter reported the Russian Air Force has been transmitting FSK signals on 7.018 MHz, which were also heard on harmonics of 14.036 and 28.072 MHz. The ARRL reminds amateurs that regardless of whether it is administered by Ukraine or Russia, Crimea is not and never has been a separate DXCC entity. In an announcement on April 10, Awards Manager Bill Moore, NC1L, reported that the ARRL Awards Committee had determined that the country status of Crimean stations would depend on how they identify their location and on which country had issued the call sign in use. "A QSL with a call sign issued by … Ukraine and showing the entity name as Ukraine counts as Ukraine," wrote Moore, while a QSL with a call sign issued Russia and showing the entity name as Russia counts as Russia. "A QSL that satisfies neither condition," he added, "does not count for either entity. After months of conflicting reports, the Voice of Russia permanently ended its shortwave broadcasts at the end of March. The station - formerly Radio Moscow - was a major propaganda tool of the former Soviet Union during the Cold War and was usually among the first stations tuned in by new shortwave listeners, as its powerhouse signals were hard to miss. As with most other government broadcasters abandoning shortwave, the Voice of Russia cited budgetary problems as the reason for its decision to terminate shortwave broadcasts. Transmissions by U.S. amateurs involved in experimental very low frequency (VLF) operation have been monitored by amateurs in Europe. The ARRL Letter reports that transmissions by hams operating under the WH2XBA experimental license on frequencies of approximately 74 kHz and 29.5 kHz were received in both the UK and in Germany. The transmissions use very slow speed Morse code, with each "dit" lasting two minutes and each "dah" lasting six minutes (not exactly a mode for quickly transmitting large amounts of information - ed.). The Letter also reports that the software being used to detect these signals is also being used by U.S. Navy personnel assisting in the search for missing Malaysian Flight 370 to listen for "black box" pings transmitted at 37.5 kHz. The President of Lithuania used amateur radio in March to transmit a message to that country's first satellite - LituanicaSAT-1 - which includes an amateur radio voice transponder and was deployed from the International Space Station at that end of February. The ARRL Letter reported that President Dalia Grybauskaite used a handheld radio and the call sign LY5N to transmit her message, "Greetings to all Lithuanians around the world," up to the satellite, which stored it on a memory chip and retransmitted it on March 22. According to the Letter, Grybauskaite may be the first head of state to send a message via an amateur radio satellite. The Vienna International Radio Club, which operates 4U1VIC at the United Nations' Vienna International Center, has announced the release of two new call signs - C7A and 4Y1A - to be used from the center on various occasions. According to Southgate Amateur Radio News, the C7A-C7Z call sign block is allocated to the World Meteorological Organization, while 4YA-4YZ is allocated to the International Civil Aviation Organization. The calls will be used in connection with special events, such as World Meteorological Day or International Civil Aviation Day. For DXCC purposes, the calls will count as Austria, not the UN, according to the report. The group hosting this summer's World Radiosport Team Championship (WRTC) competition in New England is the latest recipient of a Colvin Award grant. WRTC2014, Inc., reported that the grant consisted of "a significant financial contribution," but did not specify its amount. The Colvin Award is funded by an endowment established by the late Lloyd Colvin, W6KG, to support amateur radio projects that promote international goodwill in the field of DX. It is administered by the ARRL. WRTC is a quadrennial competition among the world's top contesters, held during the IARU HF Championship contest in July. For more information, see <http://www.arrl.org/colvin-award-grants> and <http://www.wrtc2014.org>.